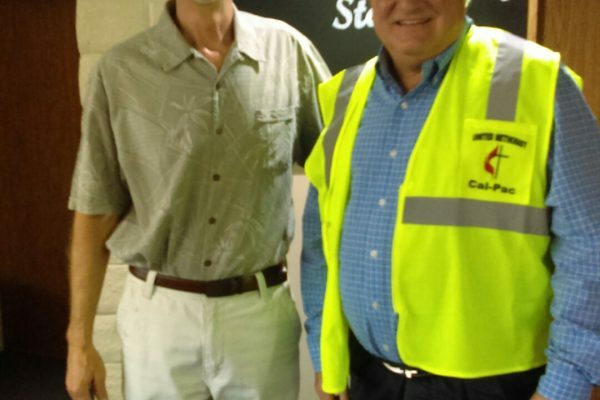 The Cal-Pac Disaster Response Task Force will present one of these new vests to the Trustees/Disaster Team of each church who makes progress toward disaster planning in their annual Charge Conference report. 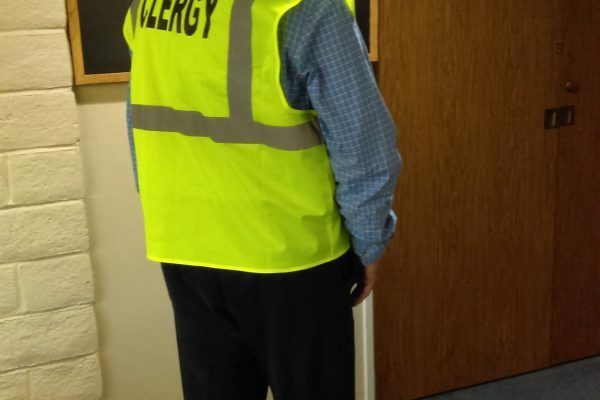 These bright yellow vests, depicting Clergy, will help quickly identify to the survivors of a local disaster a trusted person who can provide compassion and a caring Christian presence.. 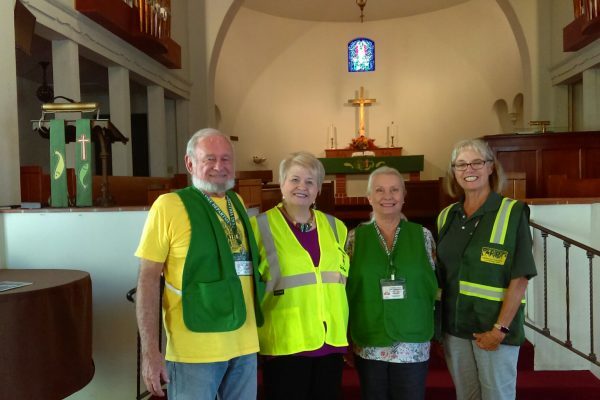 The Disaster Response Task Force is willing to send out volunteers to help Trustees get started with disaster planning, speak to groups in the church, provide Connecting Neighbors training, or provide early response team (ERT) training and/or UMVIM team leader training. For more information/questions, contact Judy Lewis (disasterresponse@calpacumc.org), Conference Disaster Response Coordinator.